I’m not sure why, but I’ve never made salad dressing from scratch. I guess I’ve never really thought to do it myself. It’s so easy just to pick up a bottle at the store. I saw this recipe on the Taste of Home website and thought I’d give it a whirl. It seemed easy enough and I actually had all the ingredients on hand. Put all of the ingredients in a bowl and mix well. Put in a container for storage in the fridge, or use it all at once. If you aren’t going to be using it immediately, keep it chilled until use. I ended up doubling the recipe, I probably should have tripled it. I really liked it. Also, if you have a Magic Bullet in the house, USE IT! I just put all the ingredients in one of the Magic Bullet cups, put the chopper blade section on tightly and whipped it up. 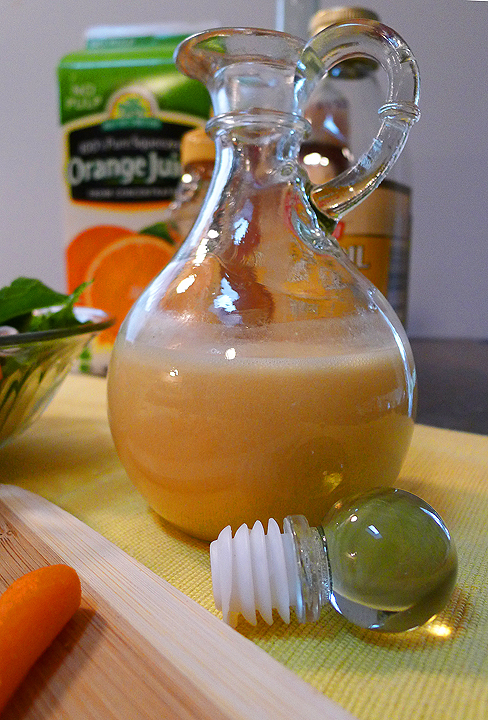 It worked really well, especially with the honey, which can can difficult to mix. I found this recipe in an article on the Taste of Home website, feel free to check them out for more salad dressing recipes. They had 15 other recipes listed in the article. They all look so good! I can’t wait to try more of them out. I’ll be sure to post them here when I do! 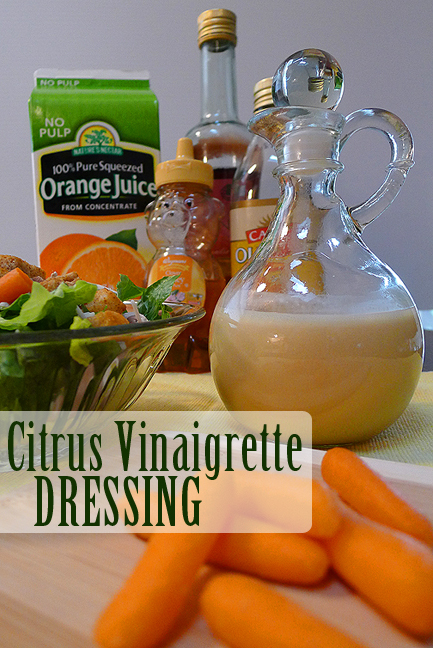 This entry was posted in appetizer, recipe, salad and tagged citrus, dressing, recipe, salad, vinaigrette.